Hey! Do you wish to Experience MACAO Your Own Style at your own pace? We are excited as well when it comes to exploring new places, culture, food and people. 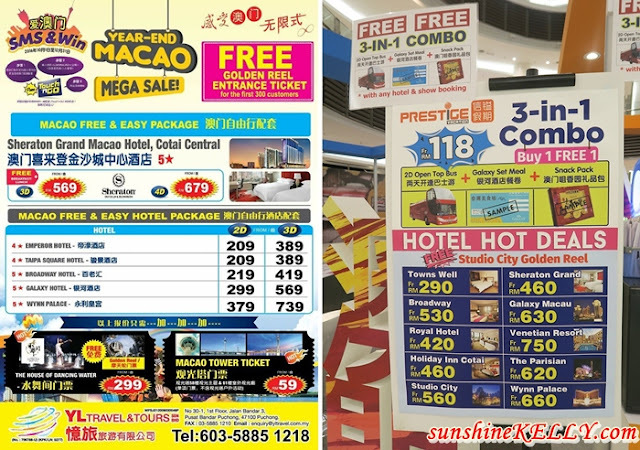 So recently visited ‘Experience MACAO & Year End Macao Mega Sale’ at Paradigm Mall to get more information about this fascinating country, their events, festivals, food and there are many promotions plus on ground special buy and prizes to be won too. We were at ‘Experience MACAO & Year End Macao Mega Sale’ at the Concourse, Paradigm Mall. First things first, we went to MACAO Tourism Board booth to inquire more information and get the relevant brochures about the places, activities, food that we are interested at. Then the fun time begins… we played some games and won souvenirs too. There were many families with their children at the Grand Prix Simulator Race, it’s fun and exciting and many children including adults were queuing for that. So I decided to play the Puzzle Game first, I completed in the timeframe and got myself a MACAO fridge magnet, nice. At the roadshow, there were travel agent booths that offer many great deals and best buys especially for the Free and Easy Packages. We spotted 4 Days Free and Easy Package at Sheraton Grand Macao Hotel, Cotai Central a 5 stars hotel only from RM449. Wow really irresistible, not only that for those who book their trip during the roadshow will received Free MACAO Golden Reel entrance tickets and travel accessories with purchase of MACAO Packages with a minimum one night stay. 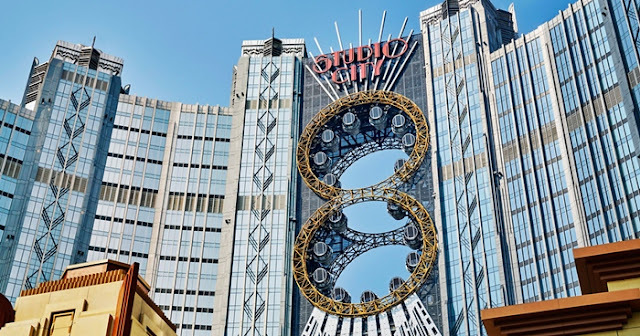 I really wish to go on the Golden Reel in MACAO which is like a ferris wheel with figure-8 at the Studio City's main façade. I would be a memorable experience admiring the breathtaking views of the city of MACAO. Oh my just look at this! On top of that, stand a chance to win RM500 Touch n GO card via SMS lucky draw on the event day. 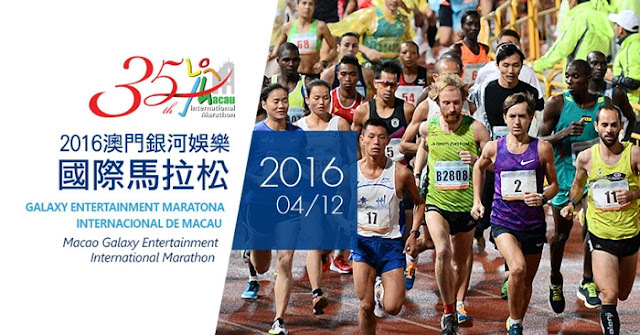 Book a Macao Package before 31st Dec 2016. Type <LOVEMACAO><SPACE><What you love about Macao?> SMS to 68886. When you book the free and easy package you are able to Experience MACAO Your Own Style at your own pace. 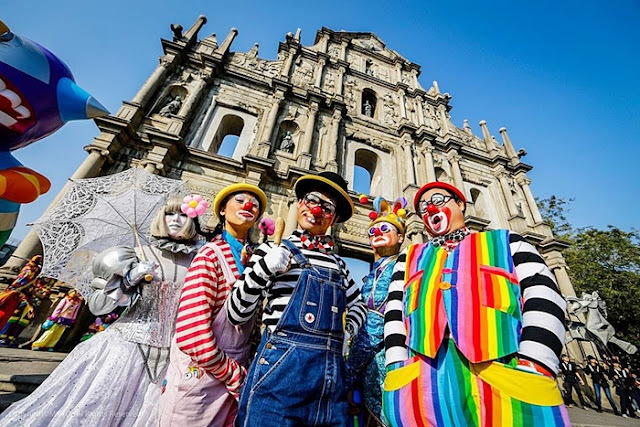 Because MACAO is a relatively small island you can get around the island easily for most of the festivals, interesting places such as Ruins of St. Paul’s, the churches, museums, food, shopping and entertainments. There are a few upcoming festivals and events in MACAO that I am interested to go, and hopefully I have the chance to plan for my trip. For example the 2016 MACAO Galaxy Entertainment International Marathon is happening on the 4th Dec 2016 (Sunday). I think it’s a bit to rush for me to join this run, I will take note on that and try to plan for the next round. The weather now is MACAO is very comfortable to run. The tour agent also informed me that MACAO 1st International Film Festival & Awards 2016 is also happening on the 8th till 13th December, 2016. For those who wish to catch a glimpse of their idols or actresses or actors this is the best time to visit MACAO. I am sure some of you will not miss the 2016 Parade through MACAO, Latin City happening on 4th Dec, 2016 themed on the Historic Centre of Macao, has been held annually since 2011. 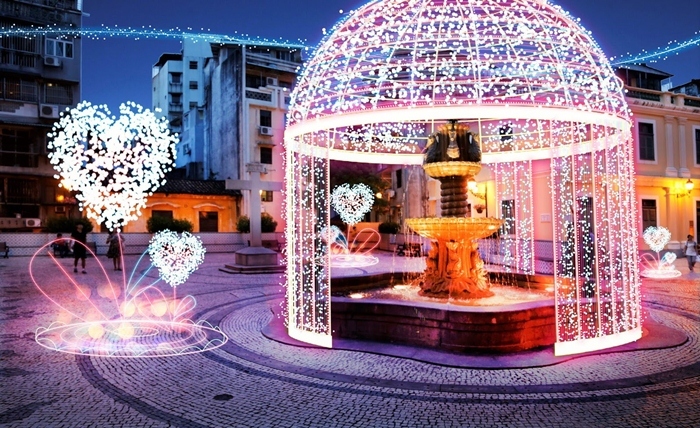 2016 MACAO Light Festival usually in the month of December, during that month MACAO transform into a magical and fairy tales kind of city. Well here are only a few festivals and events that are happening in MACAO soon, there are many more festivals or events. Not only that, we have not mention the food yet. I love Portuguese food especially the African Chicken, Portugese Style Seafood Friend Rice, steamed milk pudding and etc. Plus MACAO is one of the World Heritage Site with European and Chinese culture blend. It’s going to fun for the whole family, youngsters and also couples. It’s time to plan for your next holiday. Experience MACAO Your Own Style. Did you miss out on the Year End Macao Mega Sale? Don't worry! Macao Tourism Board will be participating at the MATTA Fair next year, from 17 - 19 March at the Putra World Trade Centre (PWTC), featuring more exciting and engaging activities! With any purchase of Macao Packages at the 3-day travel fair customers will get to redeem customized souvenirs from Macao Tourism Board! Stay tuned to Macao Tourism Malaysia Facebook & Instagram for more updates! Wish I can visit macao one day! So much of nice food and place to visit there! I want to visit the best malls there and enjoy the scenery! Hurry take me there. It seems like a wonderful place to explore especially with year end sales. Macao looks fascinating going by this post. Loved the vibes during this sale. Macau looks really filled with events and activities! i always enjoy shopping in Macao and yup too late to regret that I ripped one of my credit card, lol Still i love it! i have heard about this place but never got the chance to visit! would definitely love to do it one day! Macao is such a culturally-rich country. I am impressed by their architecture and the many different famous snacks! Hope to visit one day. Thank God it is not that expensive to fly. macao is one of my bucket list... really wish to go see it one fine day..